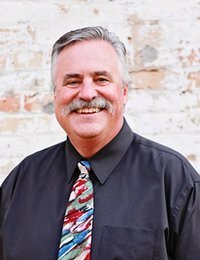 Brad VanVickle - brings over 30 years of sales, marketing, and sales management experience to assist his clients with all their Real Estate needs. He is proud that his clients have trusted him in making major purchase decisions for over 30 years. He always approaches every client with the same philosophy: Honesty & Integrity above all else. When you work with Brad you are working with a professional who takes the time to really understand your needs and unique circumstances. Then, he will do everything possible to accomplish YOUR objectives. Brad was born and raised in the beautiful Brainerd Lakes Area. He has been married to his wife LaVonne for over 30 years and has two children, A.J. and Valerie. He enjoys tinkering with old cars, hunting, riding motorcycle and most of all, assisting his clients. Brad’s strong reputation in this market plus many, many contacts developed over his many years in sales add up to a huge benefit for his clients. His goal is to provide the absolute best in service to his clients.